Diwali is a festival of not just lights but delights as well. With the Indian festivals being incomplete without the usual fanfare and good food it becomes important to care for diet and fitness during the joyous holiday. Water is useful for the body to clear toxic chemicals and uric acids. Similarly, buttermilk and lemon juice help control High uric levels which make you crave sugary delights and hamper your health goals. Alcoholic drinks should be avoided at all costs both for religious and health reasons. Add joy to home by helping with the hospitality and staying on your toes rather than sitting. 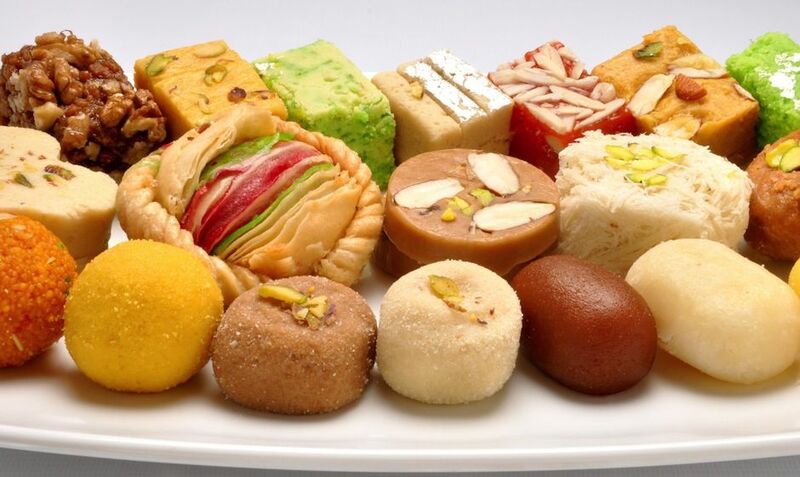 Despite Diwali being a hospitality day, learn to decline the offerings with a polite no or sticking to low sugar sweetmeats. Dry fruits are great alternatives to commercial foods. Opting for baked dishes than fried ones can keep your calories in check. Fruits can be beneficial for detoxing your body. Go “home-made”: The festival key to health is saying yes to homemade recipes. Considering the circumstances and the unhealthy baking strategies of commercial kitchens, try homemade recipes like low fat kheer, ladoos,etc. to add joys of good health. Jaggery, honey can be a good substitute for the artificial sweeteners and white sugar. Before sharing the festival joys with relatives eat at home to help avoid larger portions of unhealthy food. Adding yogurt and vegetable soup to meals can prove beneficial in flushing toxins from system. Small is the answer: Smaller portions and skipping the dinner can help you avoid the festive inches to your waistline easily. Alternatively opting for low oil cooked goodies and workout plan can be used. If your day has been hectic, go for a long walk or yoga exercise with that favorite member of family and reminiscence. So you will bond with the family and fitness together! Remember to prepare the body both before and after festival by opting for green leafy vegetables. The festival season calls for a low calorie intake both pre and post the festival. So even if you enjoy a good time during the Diwali, you will not be guilty. In a nation where lavish foods are a sign of good hospitality, sticking to these tips can help ensure that the festival season remains joyous and healthy.